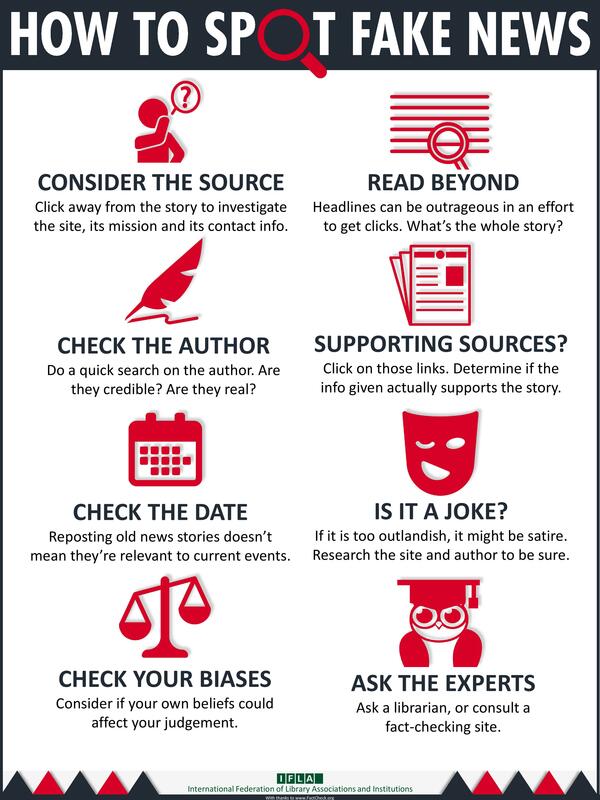 Be a smarter news consumer. Tips for assessing quality and accuracy in reporting. The new data comes from an online survey of 3,015 U.S. adults conducted between November 28 and December 1, 2016. Read about the study conducted by Ipsos Public Affairs for BuzzFeed News. A detailed summary of results to all questions can be found here. Does this article indicate its sources: are there quotes from eyewitnesses, subject experts, elected officials, or policy makers? What kind of information source is this: breaking news? Commentary on an event? Opinion or analysis? Who is the publisher? What is their publication track record?